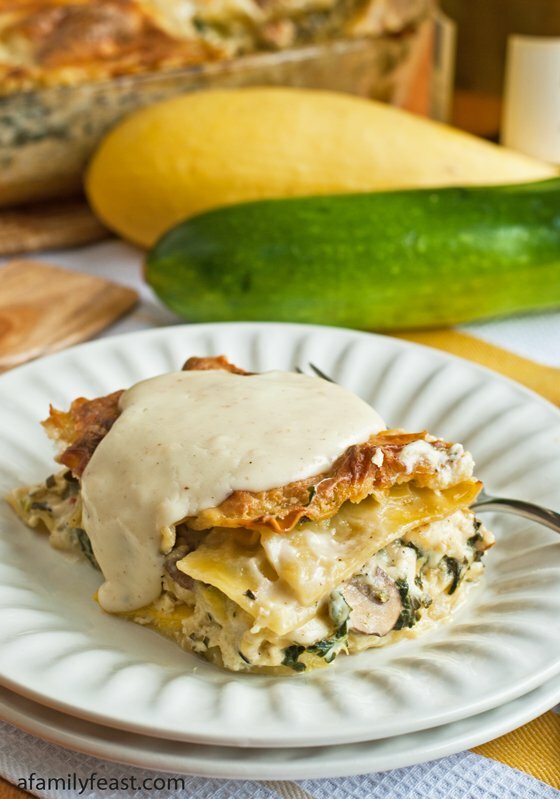 Today’s Classic Lasagna recipe is from my husband Jack’s recipe collection! 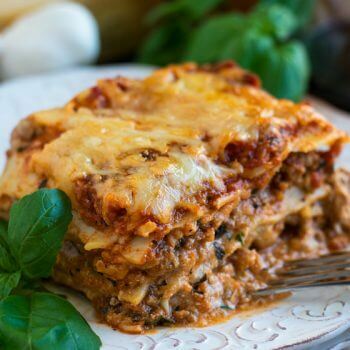 It’s a delicious adaptation that marries an old family lasagna recipe with a version that he used to make many years ago during his food service career. 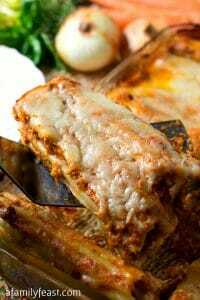 This is a wonderful, classic lasagna recipe – nothing too fancy, just layers of pasta, meat sauce, a ricotta cheese mixture, and mozzarella – and it’s one that everyone should have in their own recipe collection! 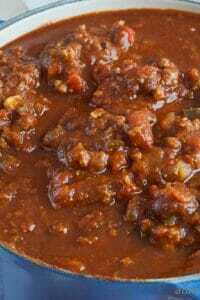 We also use a mix of meats in our sauce – but if you’d prefer to keep things more simple, just use all ground beef or whatever combination of meats you like best. 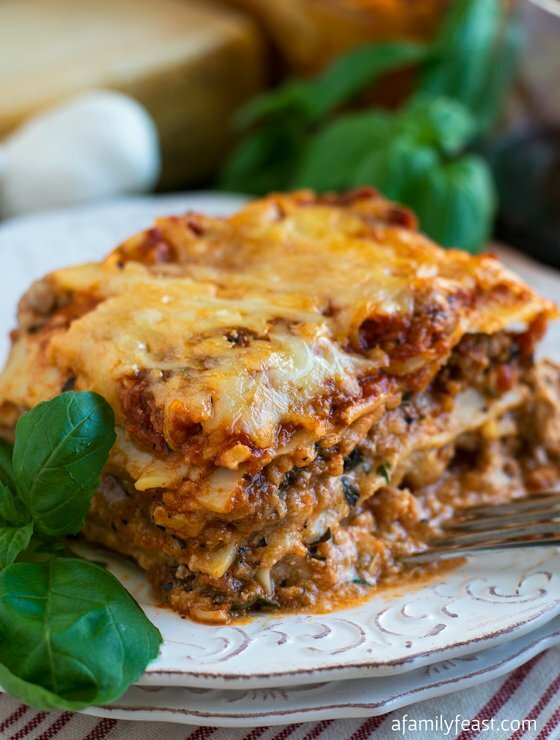 Lasagna is a very forgiving dish – so you can adjust the meats, seasonings and even the proportion of cheeses and sauce used in each layer of this wonderful dish to make it exactly how your family likes it! 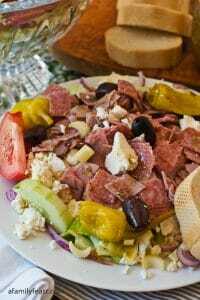 Rather than using the mix ground beef and sausage listed in this recipe, you can use whatever kind of meat your family enjoys – just plan for about two pounds total. Cook lasagna noodles according to box directions but keep them slightly undercooked (cook approximately 7-8 minutes). They should still have a good bite to them. Rinse and cool. Keep moist while you prepare the rest of the dish. In a large skillet, heat the olive oil and cook the onions for about two minutes over medium high heat. Add the garlic and cook one more minute. Add the meat, stir and cook until there is no pink. 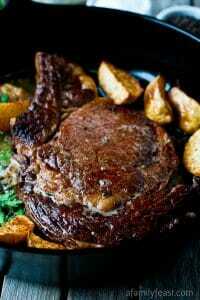 Depending on the fat content of the meat you are using, you may need to drian off some liquid. There should only be a few tablespoons of liquid after cooking the meat. Add crushed tomatoes, tomato paste, 1 teaspoon salt, ¼ teaspoon pepper, oregano, basil, red pepper flakes and mint. Reduce to medium and simmer ten minutes, stirring occasionally. Set aside. In a medium bowl, mix ricotta, 1 cup shredded mozzarella, beaten eggs, 1 cup Parmesan cheese, 1 teaspoon salt, ¼ teaspoon pepper and the chopped parsley. Mix to combine and set aside. Preheat oven to 375 degrees and put oven rack in center of oven. In a 9X13X3 glass baking dish, ladle in one cup of tomato sauce into the bottom and lay four lasagna noodles overlapping slightly. Add one third of these cheese mixture, one third of the meat mixture and half of the sliced fresh mozzarella. (The sliced mozzarella will not cover the whole pan, just spread as evenly as possible). Repeat with four more noodles, one third of cheese mixture, one third of meat mixture and the other half of sliced fresh mozzarella. Cover with four more noodles and top with remaining cheese mixture, remaining meat mixture and 1 ½ cups shredded mozzarella cheese. Finish with four more noodles, 1 ½ cups tomato sauce, 1 ½ cups shredded mozzarella and ½ cup grated Parmesan cheese. Lay a piece of parchment paper over top and then cover tightly with foil. Cover a sheet pan with foil and place a rack in foiled pan. Now place the covered lasagna on the rack and place in the oven. The rack is to circulate heat and the lower pan will catch and drips. Bake for one hour covered. Remove foil and parchment and cook uncovered for 30 more minutes. Let rest 15-30 minutes before cutting. In the picture it looks like there is cheddar on the top but not listed in ingredients?? I think I will add a little since I have some already shredded. Let you know how it turns out. It looks delicious. 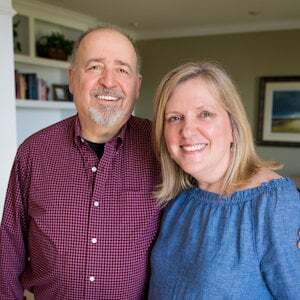 Hi Martha Beautiful photo of you both! I also love Boston . I made your classic lasagna and love the sauce, can’t wait to bake it . Thanks for sharing . Have a good day! Thank you Claudette! We hope you love both the lasagna and the sauce! I suppose we all have different tastes Victor…feel free to adjust the seasonings to your liking! I made this lasagna two days ago for my husband’s birthday. It was a huge hit! It’s a delicious recipe that feeds a crowd. I actually put it all together the day before and then took it out of the fridge an hour before cooking and added about 15 minutes to the covered cooking time and another 15 to the uncovered cooking time. I also let it sit for about 30 minutes before serving. It couldn’t have come out any better. Thank you! So glad you all enjoyed the lasagna recipe Amy! I did it and it was great. Thanks. Thank you! We’re glad you enjoyed the lasagna! I have tried lots of recipes and often combines them to find what I like. 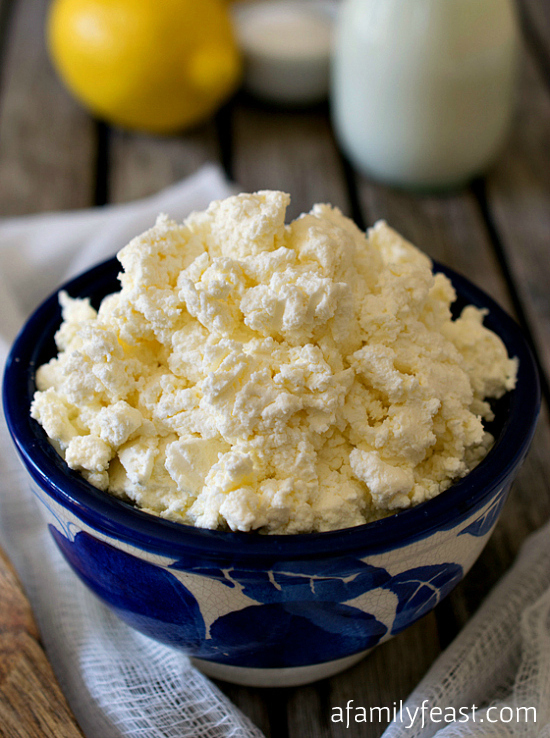 This recipe, hands down, has the best cheese mixture of any I have tried. I have now perfected my lasagna! Thank you! Thank you! You’re very welcome Beth! Thank you for such a nice compliment! We’re very glad you enjoyed the recipe! I’ve also made it ahead of time by assembling it, waiting for it to come to room temperature, wrapping it a million times with parchment, foil, plastic wrap, and freezing it until needed. I defrosted it in the fridge but it was still pretty frozen, so the cook time was much longer for me. But hey that doesn’t matter when you can place it in the oven and go do something else! Oh and I also use disposable aluminum from the $ Store. Getting ready to make two of them today! You’re very welcome Serenity! You spicier versions sound delicious! So glad you are enjoying the recipe. Just made this again and forgot to rate it! Wish I could give it more than 5 stars! I thought no lasagne would ever come close to the one my mother makes, but oh boy, this one did! 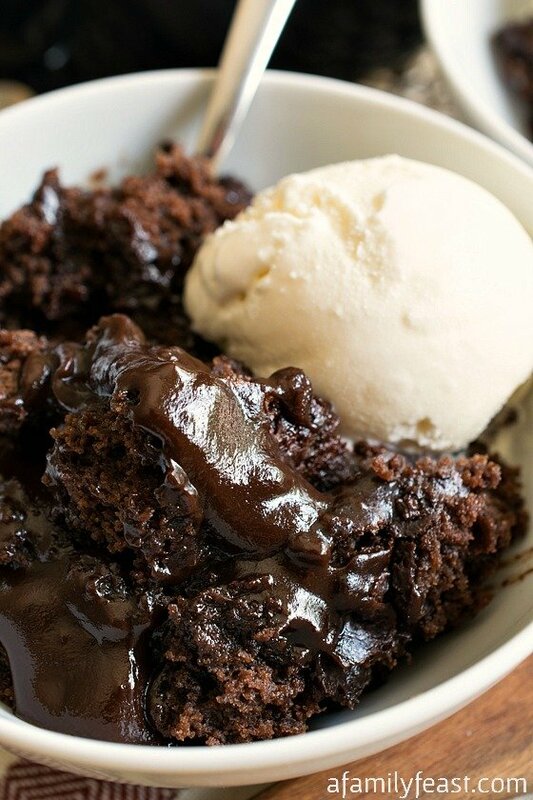 Amazing recipe which I will make again and again. Thanks and hello from the UK! I was just wondering if I could freeze this recipe? Or how long could i refrigerate it for do you think before it going bad? Hi Janessa, this is Jack. Lasagna freezes very well and should last at least three months covered tightly in the freezer. I would freeze it prior to baking. Just thaw it before baking. When it thaws, it may get a little watery but that should bake right out. As far as refrigeration, I wouldn’t feel comfortable keeping any dish more than four days in the refrigerator, baked or unbaked. Good luck! Can you prepare the lasagna and refrigerate it 2 days prior? Trying to get a head start on Christmas Eve! BTW I have the sauce simmering now and it smells so yummy!! Can’t wait to serve!! Hi Maggie – You can although I would suggest assembling it when all of the ingredients are completely chilled. Also if you are cooking the lasagna right from the refrigerator, the cook time will be longer so plan for that. We hope you enjoy the recipe! I have made this wonderful recipe 3 times already. I cut remainder into portions and place on a cookie sheet and freeze individually. I than wrap each piece in parchment paper and place in freezer bags and return to freezer.when I want a few pieces I thaw in fridge overnight and put in cold oven and turn oven to 350 after about 10 -15 minutes it is perfectly heated through. Great idea Marg! So glad you enjoyed the recipe! So I guess the no-boil noodles are out. for the shredded mozzarella, I usually buy the block and shredded it myself. for the fresh mozzarella are you talking about the more expensive round ball tha comes in a container of water. Hi Jackie – We personally aren’t fans of the no-boil noodles – we don’t think the texture is the same! We used pre-shredded mozzarella from the supermarket – no need to buy the more expensive balls of mozzarella for this recipe. Hope that helps! I tried this recipe tonight for 10 people. Everyone loved it! I made a few tweaks of my own as most people will do with a recipe. Added some cream cheese, increased the garlic, added some red pepper flakes little things like that. It has a nice bold flavor and good consistency, moist but not runny. Definitely recommend it, and will be using it for years to come I think! Thanks for sharing it. So glad you enjoyed the recipe Cindy! Hope you enjoy the recipe Becky! I’m sure it will still taste delicious! Thank you very much for sharing the recipe- It was delicious! 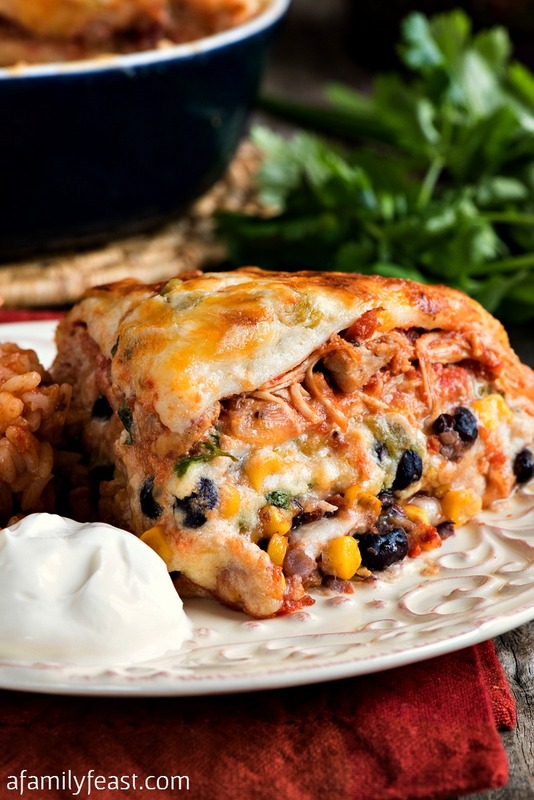 Thanks Lety – very glad you enjoyed the lasagna! 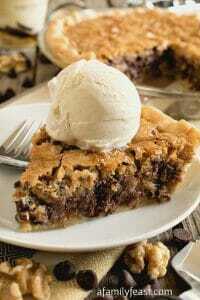 I have already made this once and it was delicious!! I want to freeze it so I can make it at home and then take it on vacation. Do you know if it freezes well? Thanks. Hi Pat – We haven’t tried freezing it ourselves but I think it should be fine. We’re glad you enjoyed the recipe! We served this at a dinner party after the new year with some friends. 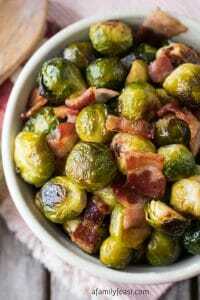 Great classic recipe & had a ton of left overs and everyone loved it. We’re so glad you liked it! Thank you for writing to us! 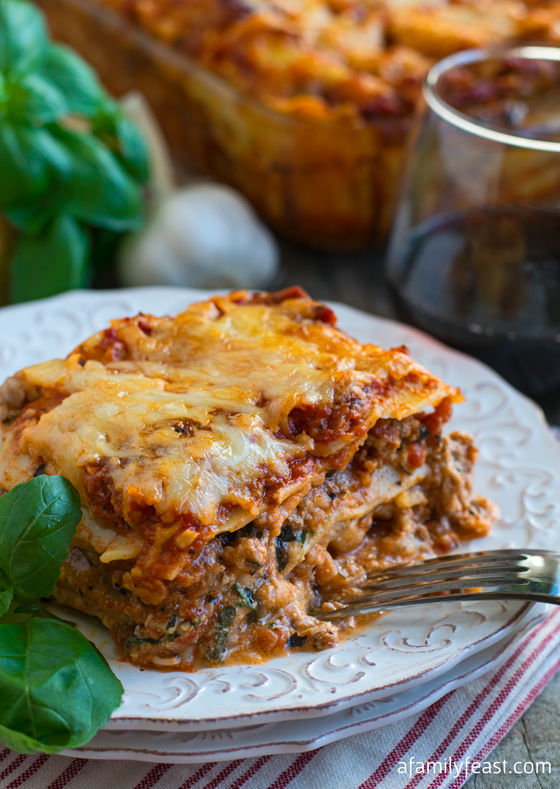 I just finished serving your Classic Lasagna for dinner and it was absolutely delicious! The recipe was easy to follow and I especially love the Tomato Sauce recipe. Great idea Samantha! Thanks for visiting today! I am making Lasagna for Christmas this year for the first time ever. This looks awesome. Thanks Shelley! Good luck – I’m sure you’ll do a great job making it! One of my favorite meals! Your lasagna looks legit!!! 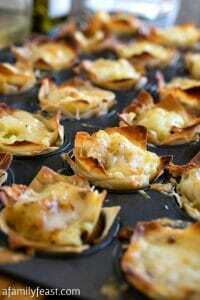 I love this version as you have some very nice variations like the fresh mozzarella. I will use the dry pasta next time and cook it versus the no-cook noodles. I’m sure there probably is a big difference so now I am curious to see how much. I love using the sausage mixture in lasagna because I think it just adds so much flavor and brings everything up a notch. 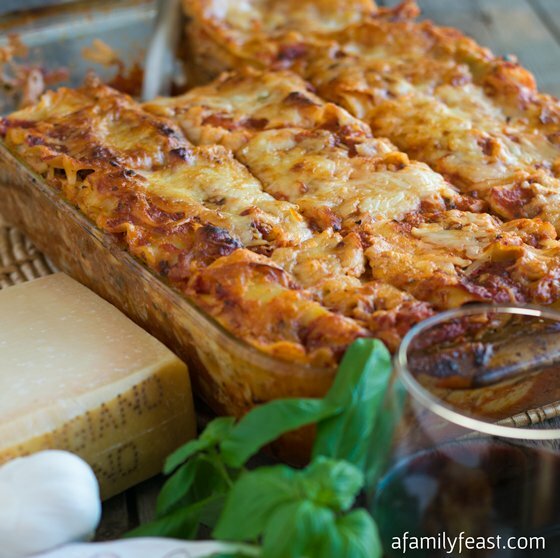 Lasagna is a nice holiday dish to make because you can do it ahead of time and enjoy your company (and it is red and green if you sprinkle some parsley on top:-). Great idea adding the parsley to make it more festive Becki! Let us know how you like the dry pasta!